There are many states and localities that provide protections for pregnant workers in need of a modest accommodation to stay healthy and employed. In fact, there has been a recent groundswell in state and local action to respond to the growing problem of pregnant workers being forced to choose between their health and their jobs. A Better Balance has worked with local campaigns to pass critically important legislation to protect pregnant workers in recent years. 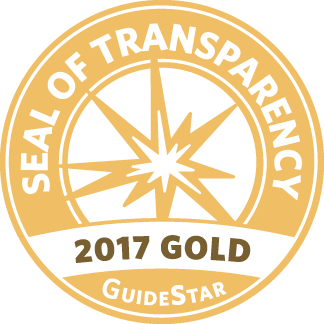 We will keep this page updated as other campaigns achieve success. Please note that these laws are complex and this page is not intended to provide legal advice, please consult with a local attorney or call us at 212-430-5982 if you have questions about your rights. For a downloadable PDF version of this information, please click here. (Date: 1992) Upon employee request, public sector employers must offer pregnant employees transfer to a less strenuous or hazardous position provided that one is available, the transfer is recommended by a health care provider, and the employee is qualified for the new position. Alaska Stat. § 39.20.520. (Date: 1999) Employers with five or more employees must reasonably accommodate pregnant workers, workers recovering from childbirth, and workers with related medical conditions, if they request an accommodation. The employer can require the advice of a healthcare provider for these accommodations. Reasonable accommodation includes transfer to less strenuous or hazardous position. Employers must notify pregnant employees of these rights. Cal. Gov’t Code §§ 12945(a)(3)(A)-12945(a)(3)(C). (Passage Date: June 1, 2016 Effective Date: August 10, 2016 Support: Bipartisan Passage) Employers must provide reasonable accommodations to applicants and employees for health conditions related to pregnancy or the physical recovery from childbirth, if requested by the employee or applicant, unless the accommodations would impose an undue hardship on the business. The statute lists possible reasonable accommodations, but does not limit reasonable accommodations to those listed. Listed accommodations include: more frequent or longer break periods; more frequent restroom, food, and water breaks; acquisition or modification of equipment or seating; limitations on lifting; temporary transfer to a less strenuous or hazardous position if available, with return to the current position after pregnancy; job restructuring; light duty, if available; assistance with manual labor; or modified work schedules. An employer can require a note from a health care provider stating the necessity of the accommodation. A worker cannot be forced to take leave if an accommodation can be provided, or be required to accept an accommodation if it was not requested or is unnecessary. Employers must post notice of these rights, and provide written notice to employees. H.B. 16-1438, to be codified at Colo. Rev. Stat. § 24-34-401, 402.3. (Passage Date: Sept. 9, 2014 Effective Date: Sept. 9, 2014 Support: Unanimous, Bipartisan Passage) Employers with four or more employees must provide reasonable accommodations to pregnant workers, workers recovering from childbirth, and workers with related medical conditions (which includes lactation), unless the accommodations impose an undue hardship on the business. The statute lists possible reasonable accommodations such as breaks, providing seating equipment, and an appropriate place to express breast milk. A worker cannot be forced to take leave if an accommodation can be provided, or be required to accept an accommodation if it is unnecessary to perform the “essential duties” of the job. Employers must provide conspicuously posted written notice of these rights. 19 Del. Code §§ 710(16),(18), 711(a)(3), 716. (Passage Date: Oct. 23, 2014 Effective Date: March 3, 2015 Support: Unanimous) Pregnant workers, workers recovering from childbirth, and workers with related medical conditions (which includes lactation), must receive reasonable accommodations unless the accommodations impose an undue hardship on the business. Employers may require documentation from the worker’s health care provider if it does so for other temporarily disabled employees. The statute lists possible reasonable accommodations such as breaks, time off to recover from childbirth, time off due to pre-birth complications, providing seating equipment, and an appropriate (non-bathroom) place to express breast milk. A worker cannot be forced to take leave if an accommodation can be provided, or be required to accept an accommodation if it is unnecessary to perform the duties of the job. Employers must provide notice of these rights in both English and Spanish. 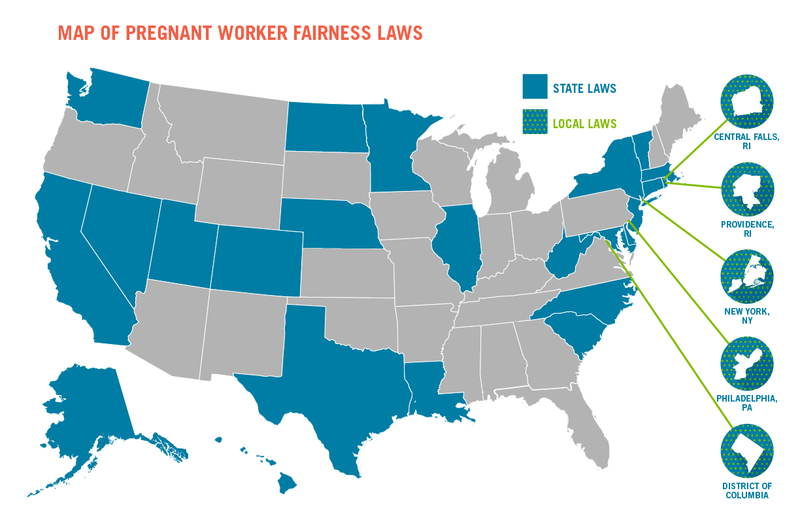 Protecting Pregnant Workers Fairness Act of 2014, D.C. Act. 20-458 (2014). (Date: 1990) Employers must reasonably accommodate workers with needs due to pregnancy, childbirth, and related medical conditions, unless the accommodations impose an undue hardship on the business. According to the Deputy Executive Director of the Hawaii Civil Rights Commission, though the regulations refer to “disabilities” caused by pregnancy and related conditions, even if you have a healthy pregnancy, you have the right to a preventative accommodation. Women cannot be sanctioned for taking a reasonable time to recover from childbirth. Employers may require advice from the physician approving her return to work. Haw. Code R. §§12-46-106–108 ; Sam Teague, Ltd. v. Hawaii Civil Rights Com’n, 971 P.2d 1104 (Haw. 1999). (Passage Date: Aug. 26, 2014 Effective Date: Jan. 1, 2015 Support: Unanimous, Bipartisan Passage) Employers must provide reasonable accommodations to workers and job applicants who have a medical or common condition related to pregnancy or childbirth unless the accommodations impose an undue hardship on the business. The statute lists possible reasonable accommodations such as water and bathroom breaks, providing seating equipment, and a private non-bathroom place to express breast milk and for breastfeeding. Employers may require documented advice from the worker’s health care provider about the need for accommodation if they do so for employees with disabilities and the request is “job-related and consistent with business necessity.” A worker cannot be forced to take leave if an accommodation can be provided, or be required to accept an accommodation if not requested and they choose not to. Employers must post notice of these rights in a conspicuous location and include them in the employee handbook. 775 ILCS 5/2-102. (Date: 1997) Employers with twenty-five or more employees must transfer pregnant women to less-strenuous or hazardous jobs if they request it with the advice of their physicians and the move can be reasonably accommodated. An employer has to allow for transfer during pregnancy if it lets other temporarily disabled employees have job transfers. La. Rev. Stat. § 23:342. (Passage Date: May 16, 2013 Effective Date: Oct. 1, 2013 Support: Bipartisan Passage) Employers with fifteen or more employees must explore with an employee all possible means of providing accommodation for needs related to pregnancy or childbirth if requested by the employee, unless the accommodations impose an undue hardship on the employer. Though the statute uses the term “disability,” in relation to pregnancy needs, the Maryland Commission on Civil Rights clarified that this law applies not only to pregnancy-related disabilities, but to all pregnant employees. Employers may require documentation from the worker’s health care provider if they do so for other temporarily disabled employees.The statute lists possible reasonable accommodations such as changing the duties or work hours of the employee, relocating the work area, transferring the employee to a less strenuous or less hazardous position, or providing leave. Md. Code Ann. State Gov’t § 20-609. (Passage Date: May 11, 2014 Effective Date: May 12, 2014) Employers with twenty-one or more employees must provide reasonable accommodations to an employee for health conditions related to pregnancy or childbirth if she requests it and it is advised by her licensed health care provider or certified doula, unless it is an undue hardship on the operation of the employer’s business. Accommodations named in the statute include: temporary transfer to a less strenuous or hazardous position, seating, frequent restroom breaks, and limits to heavy lifting. Accommodations that DO NOT require a doctor’s note, and which an employer CANNOT claim are an undue hardship are: more frequent restroom, food, and water breaks; seating; and limits on lifting over 20 pounds. A worker cannot be forced to accept an accommodation they do not need. Employers must provide reasonable unpaid break time to an employee who needs to express breast milk for her infant child, unless the break time would unduly disrupt the business operations of the employer. For expressing breast milk, an employer with any number of employees must make reasonable efforts to provide a non-bathroom space that is shielded from view and free from intrusion that includes access to an electrical outlet. Minn. Stat. §181.939; Minn. Stat. § 181.9414. (Passage Date: April 13, 2015 Effective Date: Sept. 2015 Support: Unanimous Passage) Employers with fifteen or more employees must provide reasonable accommodations to workers who are pregnant, have given birth, or who have a related medical condition unless the accommodations would impose an undue hardship on the employer. Accommodations named in the statute include: seating, breaks, light-duty assignments, and an appropriate place to express breast milk. A worker cannot be forced to take leave if an accommodation can be provided. Neb. Rev. Stat. §§ 48-1102(11), 1107.02(2). (Passage Date: Jan. 21, 2014 Effective Date: Jan. 21, 2014 Support: Bipartisan Passage) Workers affected by pregnancy, which includes childbirth and medical conditions related to pregnancy and childbirth, must receive reasonable accommodations unless the accommodations would impose an undue hardship on the employer. The employee must request the accommodation based on the advice of her physician. Accommodations named in the statute include, but are not limited to: bathroom breaks, breaks for increased water intake, periodic rest, assistance with manual labor, job restructuring or modified work schedules, and temporary transfers to less strenuous or hazardous work. N.J. Stat. § 10:5-12(s). (Passage Date: October 21, 2015 Effective Date: Jan. 19, 2016 Support: Unanimous Passage) Employers with four or more employees must make reasonable accommodations for workers with pregnancy-related conditions (which means a condition that still allows an employee to reasonably perform the activities required of the job when given a reasonable accommodation), unless the accommodations would pose an undue hardship on the employer. Reasonable accommodations include: provision of an accessible worksite, acquisition or modification of equipment, job restructuring, and modified work schedules. An employer can request a health care provider’s note in order to verify the existence of the pregnancy-related condition, or to have information that is necessary for an accommodation. Employees have a right to have this information kept private. 2015-S8, to be codified at NY Exec. Law §§ 292, 296. (Passage Date: December 6, 2018 Effective Date: December 6, 2018) All state agency employees have a legal right to workplace adjustments for pregnancy, childbirth, or related medical conditions in order to perform the essential functions of their job unless it would case an undue hardship on the employer. Workplace adjustments may include, but are not limited to, a change in workstation and seating equipment, and/or relocation of workplace materials and equipment to make them more accessible, more frequent and/or longer breaks, periodic rest, assistance with manual labor, modified work schedules, including the option to work from home, modified work assignment, adjustment of uniforms or dress codes, provision of properly sized safety gear, temporary transfer, reasonable break time and access to appropriate, non-bathroom lactation accommodations for rest and/or to express breast milk, access to food and drink and permitting meals and beverages at workstation, changes in lighting and noise levels, and closer parking and/or access to mobile assistance devices. State agencies may require employees to obtain documentation from a healthcare provider certifying the need for workplace adjustments. State agencies must provide written notice of rights and take any additional steps to prevent discrimination, retaliation, and harassment. N.C. Exec. Order No. 82 (2018). (Passage Date: April 6, 2015 Effective Date: Aug. 1, 2015 Support: Bipartisan Passage) Employers must make reasonable accommodations for a pregnant worker who is otherwise qualified for the job, unless the accommodations would disrupt or interfere with the employer’s normal business operations; threaten an individual’s health or safety; contradict a business necessity of the employer; or impose an undue hardship on the employer. N.D. Cent. Code § 14-02.4-03. (Passage Date: June 25, 2015 Effective Date: June 25, 2015 Support: Unanimous, Bipartisan Passage) Employers with four or more employees must provide reasonable accommodations to workers for needs related to pregnancy, childbirth, and related medical conditions (including the need to express breast milk) if she requests them, unless the accommodations would impose an undue hardship on the business. The statute lists possible reasonable accommodations such as breaks, seating, and a non-bathroom location to express breast milk. A worker cannot be forced to take leave if an accommodation can be provided, or be required to accept an accommodation if they choose not to. Employers must post notice of these rights in a conspicuous location. 2015-S 0276 Substitute A as Amended, to be codified at R.I. Gen. Laws § 28-5-7.4. (Passage Date: May 18, 2018; Effective Date: May 18, 2018 Support: Unanimous Passage) Employers with fifteen or more employees cannot deny reasonable accommodations to employees with medical needs arising from pregnancy, childbirth or related medical conditions, including lactation. Employers may only deny an employee a reasonable accommodation if the accommodation would impose an undue hardship on the operation of the employer. Reasonable accommodations under the statute, may include, but are not limited to more frequent bathroom breaks; providing a private place, other than a bathroom stall for the purpose of expressing milk; modifying food or drink policy; providing seating or allowing the employee to sit more frequently if the job requires the employee to stand; providing assistance with manual labor and limits on lifting; temporarily transferring the employee to a less strenuous or hazardous vacant position, if qualified; providing job restructuring or light duty, if available; and acquiring or modifying equipment or devices necessary for performing essential job functions; and modifying work schedules. (Date: 2001) Municipal and county employers must make a reasonable effort to accommodate a pregnant employee whose physician determines her to be partially physically restricted by a pregnancy. In addition, pregnant municipal and county government employees whose doctors determine that they cannot perform the duties of their position because of their pregnancy can receive an alternative temporary work assignment if an alternative assignment is available. Tex. Loc. Gov’t. Code § 180.004. (Passage Date: March 28, 2016 Effective Date: May 10, 2016 Support: Bipartisan Passage) Employers with fifteen or more employees must provide reasonable accommodations for needs related to pregnancy, childbirth, or related medical conditions (including breastfeeding) if requested by the worker, unless the accommodations would impose an undue hardship on the business. Employers can require a doctor’s note from the worker that lists the date the accommodation becomes advisable, the probable duration of the accommodation, and a statement explaining the advisability of the accommodation. Accommodations that an employer CANNOT require a doctor’s note for are: more frequent restroom, food, and water breaks. Employers must post notice of these rights in a conspicuous location or include them in the employee handbook. 2016 S.B. 59, amending Utah Code §§ 34-49-202, 34A-5-102, 106. (Passage Date: May 4, 2017 Effective Date: January 1, 2018 Support: Bipartisan Passage) Employers must provide reasonable accommodations to workers with pregnancy-related conditions, unless the accommodation imposes an undue hardship on the business. A worker’s pregnancy-related condition does not need to rise to the level of a disability in order for the employer to accommodate them. 21 V.S.A. § 495k. (Passage Date: March 6, 2014 Effective Date: June 4, 2014 Support: Bipartisan Passage) Employers with twelve or more employees must provide reasonable accommodations to workers with limitations related to pregnancy, childbirth, or related medical conditions with written documentation from their health care provider that specifies their limitations and suggests what accommodations would address those limitations, unless the accommodations impose an undue hardship on the business. A worker cannot be forced to take leave if an accommodation can be provided, or forced to accept an accommodation if they choose not to. W. Va. Code § 5-11B-2. (Passage Date: October 2, 2013 Effective Date: January 30, 2014 Support: Unanimous, Bipartisan Passage) Employers with four or more employees must provide reasonable accommodations to the needs of an employee for pregnancy, childbirth, and related medical conditions, provided it would not cause an undue hardship. Employers must provide written notice of these rights. N.Y. Admin. Code 8-107(22). Learn more about the NYC PWFA here. (Passage Date: December 12, 2013 Effective Date: January 20, 2014) Employers must provide reasonable accommodations to employees, if requested, for needs related to pregnancy, childbirth, or a related medical condition, so long as the accommodations will not cause an undue hardship to the employer. Reasonable accommodations include restroom breaks, periodic rest for those who stand for long periods of time, assistance with manual labor, leave for a period of disability arising from childbirth, reassignment to a vacant position, and job restructuring. Employers must provide written notice of these rights. Phila. Code § 9-1128. (Passage Date: May 15, 2014 Effective Date: June 2, 2014 Support: Unanimous, Bipartisan Passage) Employers with seven or more employees must provide reasonable accommodations for conditions related to pregnancy, childbirth, and related medical conditions, unless it would pose an undue hardship. This includes lactation. Reasonable accommodations include seating, acquisition or modification of equipment, more frequent or longer breaks, temporary transfer to less strenuous or hazardous work, assistance with manual labor, job restructuring, light duty, modified work schedules, time off to recover from childbirth, break time and a private, non-bathroom space for expressing breast milk. A worker cannot be forced to take leave if an accommodation can be provided. Employers must provide written notice of these rights. Ordinance to be codified at Providence, R.I., Code § 16-57. (Passage Date: April 14, 2014 Effective Date: April 14, 2014) Employers cannot refuse to reasonably accommodate a condition related to pregnancy, childbirth, or a related medical condition, which includes lactation. Reasonable accommodations include seating, acquisition or modification of equipment, more frequent or longer breaks, temporary transfer to less strenuous or hazardous work, assistance with manual labor, job restructuring, light duty, modified work schedules, time off to recover from childbirth, break time and a private, non-bathroom space for expressing breast milk. A worker cannot be forced to take leave if an accommodation can be provided. Written notice must be provided. Central Falls, R.I. Code § 12-5.